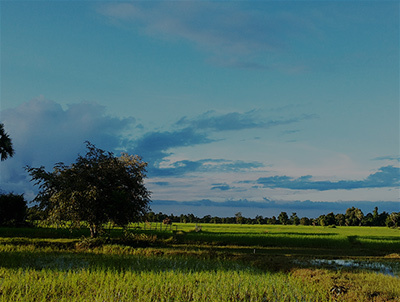 Experience the heart of rural Cambodia at the new CRDTours community based eco-tourism site Koh Preah. After the success of CRDTours first CBET site Koh Pdao the social enterprise has been working closely with the local community in Koh Preah to develop a second sustainable tourism site. The community based tourism model that CRDTours follows is extremely sustainable – visitor numbers are closely monitored and capped. This means growth is steady and so beneficial to the community whilst preserving the local culture and the environment. As Koh Pdao reaches the maximum number of visitors it can receive CRDTours have been working with a new community in Koh Preah so they too can benefit from this kind of tourism. Koh Preah is one village and commune situated in a stunning island on the Mekong River. It is located around 35km South of Stung Treung Town and is home to around 340 families. The majority of people who live in Koh Preah are farmers; growing rice, feeding livestock and fishing are their main economic activities. A few other villagers have small business operations, some provide transportation and there are some teachers for the local school. Koh Preah means God Island. The name caught on after local people found many Buddha statutes on the island after the Khmer Rouge era. As an island along the Mekong River, Koh Preah is rich in natural resources, Mekong beauty, is brimming with Khmer culture and the presence of the critically endangered Irrawaddy fresh water dolphin. The stretch of the Mekong to the south of Koh Preah is one of the most beautiful parts of the Mekong River, especially when travelling downstream you will experience the twisting, intertwining channels, painted with small inhabited islands, undulating sandbanks, rapids and flooded forests. There are 7 homestays in Koh Preah which are able to provide a mosquito net, thin mattress, pillow, blanket and towels – so everything you need for a comfortable stay. The bathroom and toilet are on the ground. The community of Koh Preah also has food group which will provide you with all your meals whilst you visit the island. 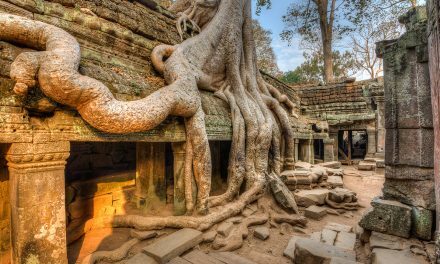 There are currently two options to visit Koh Preah – the first is a two day, one night experience, the other a full week where you also take part in a community project that benefits the local area. If you have limited time and budget but would still love to experience rural Cambodia and the local way of life here then this tour is for you. At 8:00AM meet your English-speaking local guide at the appointed location. The English-speaking local guide will introduce himself and run through the tour schedule for the day. This will be followed by some basic information about the beautiful North-eastern town of Stung Treng. The group will depart with the local English-speaking guide on mountain bikes, following the Mekong River to where the boat will depart for the island of Koh Preah. Following the river provides the perfect opportunity to see local villages and pass by the small wooden houses of those who live along the river. At times there will be long open roads with rice fields, or the tall coconut palms which may shade the way. This experience will give a wonderful insight into rural Cambodia, covering a variety of terrains (one particular gravel road maybe difficult for extremely inexperienced riders but most should manage it without a problem) whilst riding from the town to the boat. Occasionally, you will also cross some wooden bridges, both large and small. And don’t worry, if you feel tired along the way, your guide will have planned the some scenic locations to stop and have a break. After approximately a 2 and half hour ride, you will hear nothing but the noise of your bicycle on the gravel road, your own breath and occasionally the call of the birds. You will see no more local houses or rice fields but instead the forest around you. These are signs telling you that you are getting closer to Koh Preah and not long after, you will arrive at the ferry departure point, where an experienced boatman in his traditional wooden boat awaits the group. The boat takes approximately 30 minutes to cross to the island of Koh Preah. The boat will arrive on the eastern side and your English-speaking guide will take you across to your homestay accommodation on the western side of the island, enabling you to explore the beauty of the island as you go. Arriving at the homestay you will be greeted by the community and be shown to a place to shower and rest after riding 35km to your destination! While you are resting, your lunch will be prepared by a group of local chefs and after lunch hopefully you will have had time to recover your energy for the afternoon activities. In the afternoon, a community leader will provide you with information about the village, also encouraging the chance to ask questions that you may have about the island, for example about the village history and the changes experienced by villagers. The group will then take a small fishing boat around the island, with the opportunity for swimming in the dry season and the chance to see the rare and critically endangered Irrawaddy river dolphin. The next morning after breakfast, you have two options for returning to Stung Treng Town – either by boat with the local people or you can cycle back to town (a different and longer way to the route which you took to reach Koh Preah). A local lunch, dinner and breakfast at the Koh Preah Community Based Ecotourism (CBET) group. Each meal also includes drinking water. A night in a community home stay on the island of Koh Preah (Shared room). A boat trip to visit the areas in Koh Preah trying to spot the Irrawaddy river dolphin. 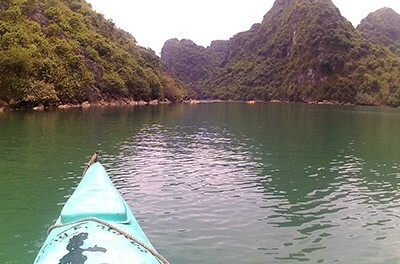 The price of the tour varies depending on your group size but ranges from $60 per person for a group of 4 or more up to $85 for a solo traveller. Please contact CRDTours to finalise prices. This tour is a great opportunity to help out the community you are visiting, really get to know the people who live here and understand the local culture. The activities you will take park in are conjunction with existing programmes run by the Cambodian Rural Development Team and can be any of these five options: chicken raising, pig raising, and helping to build rain water collectors, home gardening and helping with the construction of a community tourism center. CRDTours decided to set up the Community Development Tour in response to research conducted by the Cambodian Rural Development Team which found that people in Koh Preah earn a very small income of around only $1.50 a day. This minimal income means that the villagers of Koh Preah struggle to support their children to go to school, or even to provide enough food, clothing or adequate healthcare. Since the CRDT set up livelihood activities it has had an incredibly positive impact on the area, improving living standards and helping to create a better future for the village. As many of the livelihood activities require only basic skills and some hard work they are activities in which anybody can help, including tourists. 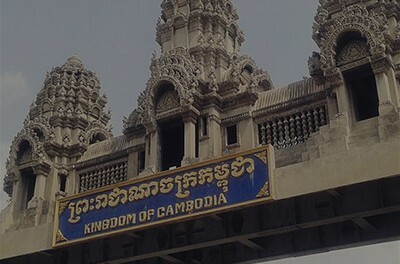 The Community Development Tour is beneficial for everyone – it provides a positive outcome for the villagers and provides a great and unique experience for tourists, one that they won’t find anywhere else in Cambodia. At 8:30AM meet your English-speaking local guide at the appointed location who will introduce himself and run through the tour schedule for the day. This will be followed by some basic information about the beautiful Stung Treng Town and the village of Koh Preah. Next, everyone gets on a local boat from Stung Treng Town to Koh Preah village. You will be introduced to the community and head to the village and the project that you will do. In the next 6 nights and 7 days, you will spend time taking part in a livelihood activity for a family. You can split your time between working on the project livelihood activity with your host family and the community and doing your own activities and experience the local culture. You can learn small handicraft with the community, meet with the local elders to learn more about their village, visit the local pagoda, learn to make local pastry and even try a traditional steam bath. After breakfast on last day, everyone gets on the same boat back to the mainland and gets rid on the taxi / minivan back to Stung Treng Town. End of the tour. If you’re interested in this tour please bear in mind that you will probably have to get your hands dirty (especially if you choose pig raising!). Transportation from Stung Treng to Koh Preah and return (boat and van). A boat trip to try and spot the critically endangered Irrawaddy dolphin for 1 hour. Seven Lunches (local food) + drink (one soft drink). Seven nights in the home stay of Koh Phdao (shared room). Seven dinners (local food) + drink (one soft drink) at Koh Phdao. Seven breakfasts (local food) + drink (one soft drink) at Koh Phdao. Local cultural experiences such as learning to make local pastry, meeting with local elders, learning to do small handicraft, visiting the pagoda, having a local steam bath. The cost can vary depending on the number of people taking the tour but prices range from $353 per person for a group of 12 up to $1,496 for a single person – these prices can change (for example if a solo traveller was to go at the same time as a larger group it may be negotiable) so it is worth contacting CRDTours to find out exactly how much it would cost for you to take part. 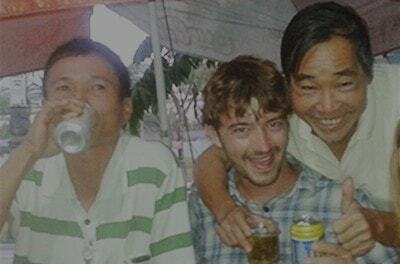 PreviousHow to get from South Cambodia to Vietnam without a package deal.